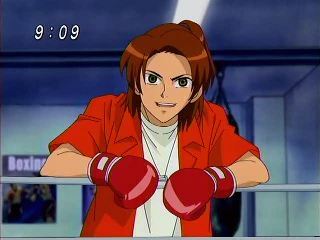 Suggested by Mehama Sadafa Kyo Kusanagi makes his debut onto the blog with this fight. He’s definitely a skilled fighter whose abilities are amped up with his energy attacks. Marcus is in a similar situation and by the end of the series he was still improving. 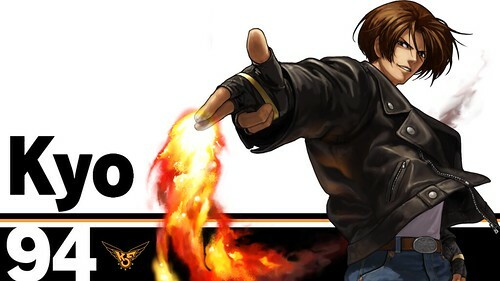 In terms of pure technique I think Kyo would have the edge here, but Marcus’ raw power is on a different level. Once you throw in his Digimon and their combo moves then Kyo really ends up getting left behind. Marcus wins. Marcus may be coming off a big win, but I’m afraid that it’s all over here. He doesn’t really have any way of hoping to stop Buu. Buu is way stronger than Marcus and he is also considerably faster. He has absorbed Gohan in the past which gave him a form that can barely even be comprehended. He could end the solar system many times over with a single attack. If that isn’t true power then I don’t know what is. Things aren’t looking good for Marcus. Buu wins. Marcus is the Digidestined of legend. He’s so much stronger than the rest of the humans in the series that you would think he is from DBZ. His Agumon also got some incredible forms like Shine Greymon Burst Mode. (Or was it Rise Greymon? 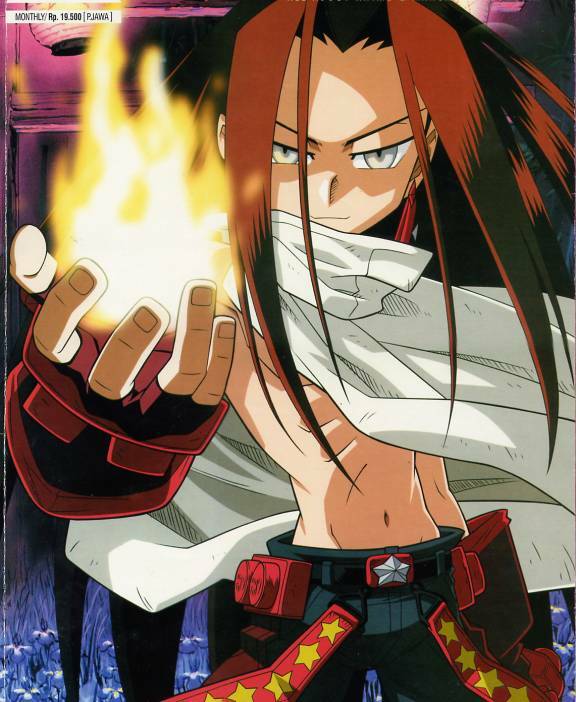 One of those two) Meanwhile Hao is the Shaman King and so naturally he has a ton of abilities. He didn’t get to show them off too much but made up for it with the moments that he did get. In particular his final fight with the rest of the main characters was pretty impressive. It’s a tough pick, but I think Marcus has this. His durability will go a long way here and Greymon Burst Mode is quite fast. It’ll be tough for Hao to stay on top. Marcus wins. 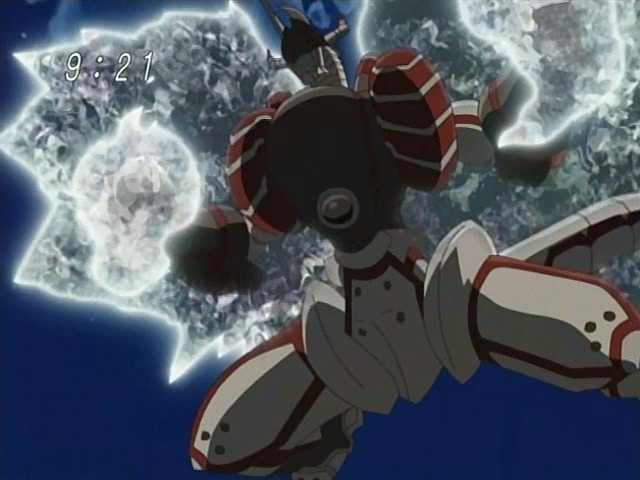 Suggested by Destroyer Marcus is an awesome character and his punches are even able to hurt Mega level Digimon. That is no small feat but Goku is still quite a bit stronger. 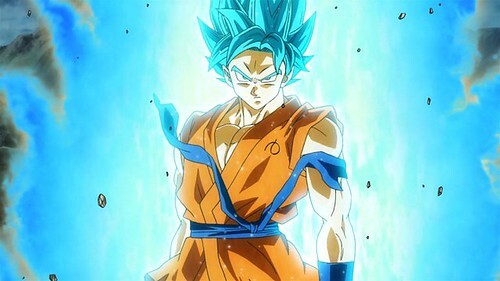 Moreover, Goku has many transformations and can also teleport. Marcus doesn’t have an answer for these options and won’t be able to keep up with Goku for long. This is the true power of a saiyan. Goku wins. For a while now, I’ve talked about how Cardfight Vanguard is my 2nd favorite show of all time behind Yugioh GX. Well, I’m going to have to back up a little there because I actually overlooked this show for a while. Data Squad is really the title that has earned second place so Cardfight will have to lower itself to the 3rd spot, which is still pretty respectable. This is definitely the best Digimon series and it hit all the right notes. There aren’t really any major negatives here and it could have gotten a 10 if that spot wasn’t already taken. The series starts off with a main character who is very different from the former protagonists. He’s always looking for a fight and he beats up whole groups of villains with ease. He picks a fight with an Agumon and he manages to get the match to a tie. He learns that a Digimon group wants to take Agumon back to the Digital World…by destroying him. Marcus (The main character) doesn’t like this and he defends Agumon. Eventually, he joins the group…which was an interesting decision, but I’ll get into that later. 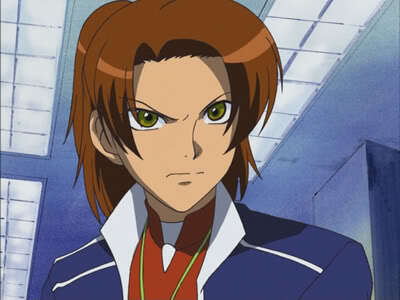 Marcus is the main character of Digimon Data Squad and he is definitely as epic as you may expect. He’s like Ichigo Kurosaki or Yusuke Urameshi. He’s always looking for a fight and his confidence is unwavering. He doesn’t blindly follow the government and he’s a very loyal friend. He protects Agumon from the Data Squad members even though he had only known him for a few minutes. Marcus even manages to get some good hits in on Thomas when the latter decides to attack Marcus. Marcus also isn’t your average Digi tamer since he can fight on his own. He has a pretty unique ability that lets him gather Digital DNA in his fist when he strikes a Digimon. Later on, he learns how to harness that power on his own, which makes him just about unstoppable in a fight. He can punch through just about anything and his blows even affect Mega level Digimon. It’s pretty awesome and it lets me take him seriously. It’d be tough for the average main character to talk as big as Marcus since he doesn’t have the physical strength to back it up, but Marcus can. That’s a critical point and Marcus never goes downhill. He may make a mistake or two as the series goes on, but he’s typically consistent in his wise choices. He’s easily one of the best main characters of all time. On a side note, Marcus switches his outfit for the final arc of the series and it’s pretty great. I’ll admit that I had been waiting for that one to show up since I find it to be a lot cooler than his original get up. Just another factor to help him out even more. Thomas is the rival in this series. He is probably the best rival in the franchise so that’s pretty cool for him. Chris (Who looks a lot like Thomas) is a decently close second though. Thomas is rich so he has used his resources to become a very skilled agent. You could say that he is similar to Bruce Wayne in that respect. He has trained in the art of combat and he is skilled enough to take on a champ without all that much effort. To top it off, Thomas is also a genius. You can see where the Bruce Wayne comparisons come into play right? He’s a pretty fun rival although he’s meant to be very annoying at first. He always plays by the books, which means that he’s just a government lackey at first with no real character development. He gets better with that as the series goes on and he’s a very good character by the end. As a rival, he’s perfect for Marcus. Yoshino is the main heroine of the series and she’s a pretty tough agent. Before Marcus rode into town, she was the squad’s premier agent since Thomas was typically away on official business. She managed pretty well on her own for all those years even though she doesn’t always look very impressive on screen. She’s pretty likable and I would place her over all of the heroines in the first two series and the one in Frontier. I think Nene and Rika are cooler though so she’s basically in the middle. That’s not bad and she’s about as good as I expected her to be. Maybe a little more so, but just barely. She gets the job done and while she tries to stop Marcus from going on his cool adventures, she doesn’t turn traitor like you night fear and rat him out to the big boss. Agumon is a pretty good partner for Marcus. He’s technically cooler than the original Agumon, but there’s something about the classic one that makes me hesitate before putting this one higher on the totem pole. The other Agumon just had more heart I suppose and it’s hard to forget him. That being said, this Agumon is pretty good and he’s always ready for a fight. He certainly has his arguments for Marcus, but he’s typically a dependable ally to have. He regards Marcus as his leader so he acts as if he’s his minion for the most part. That just doesn’t apply to meal times where he can go all out. I always knew that it would be tough to pass Agumon’s original Digievolution route, but this Agumon actually succeeded in that task. I like all of the Shining Greymon forms and they really look great. The animators did a good job of bringing these forms to life and we even get to see the Burst Mode in all of its glory. Gaomon is Thomas’ partner and he’s pretty good. He has the same voice as Might Guy, which can be distracting since it makes it hard to take Gaomon seriously. That being said, he’s still a pretty likable Digimon. Gaomon is definitely loyal to Thomas and he’s always ready to fight. He makes for a nice rival to Agumon. Gaomon also knows how to fight on his own even if his trainer is not present, which is a pretty big advantage over the typical opponent. His evolution forms are very good and I like just about all of them…although his champion form isn’t great. His ultimate and mega forms make up this. Lalamon is Yoshino’s partner and she is definitely the worst partner from the main three. She can’t really fight that really hurts Yoshino’s chances of being a great fighter. Her champion form is no match for a random Digimon with no experience and it she loses in her first big fight. Lalamon gets her moments as the series goes on of course, but she never reaches the heights that the others do. Her strongest forms still aren’t as impressive as Agumon and Gaomon’s. You can argue that the same thing happened to Renamon’s Mega form since it was no Gallantmon, but at least it was still as impressive as Henry’s ultimate form. Lalamon definitely can’t say the same and she’s too much of a pacifist. She definitely could have used some development. Keenan is definitely one of the worst characters in the series and I definitely wish that he had been cut out. His whole gimmick doesn’t make any sense. He was raised in the Digital World so his English skills are pretty broken. This means that he ends up talking like Tarzan, which is already a pretty annoying cliche if you ask me. “Me am Keenan” is an example of what a typical line from him is like. Why does this not make sense? Well, all of the Digimon can speak perfect English. I’ve never heard them make a mistake and they barely even use slang. So, Keenan shouldn’t have a problem with the language. Moreover, he’s just really annoying. He doesn’t know whether he should choose to side with the humans or the Digimon and this ends up with him not really being loyal to either side for a while. Marcus has to constantly defeat him until he finally sees the light. Once he is a hero, Keenan is still pretty annoying and I never liked him from start to finish. Falcomon is Keenan’s partner and he’s not much better. He talks tough, but he’s rather weak. The only impressive moment that he has is his very first appearance and that’s just because the writers were trying to give him a lot of hype. It doesn’t really work and it doesn’t make him likable. Falcomon seems to be the intelligent and refined character from the way that he speaks, but he doesn’t have any really cool moments. It also helps that most of his Digi Evolutions aren’t that good either. Commander Sampson is the leader of the D.A.T.S group and he can definitely be pretty iffy at times. As it is, I’m pretty suspicious of the group’s overall goal and he’s their leader so that doesn’t help his case. He talks tough to be sure, but he’s a part of the system so he has to listen to his higher ups at times. He’s a decent leader, but he’s definitely not my kind of character and I always side with Marcus against him. Kudamon is Sampson’s partner and he’s decent as well, but not always. He’s pretty skeptical of Marcus and he’s usually the voice of doubt. He does get to fight towards the end of both arcs so he is definitely strong. He’s still not my favorite Digimon, but he’s decent to have around. He beats the knights and the shell Digimon. Homer Yushima is a fisherman who knows more than he lets on. It’s safe to say that he’s one of the most annoying characters in the series. He constantly taunts Marcus, but he is somehow able to avoid the hero’s punches. This guy could get 100 plot twists and I still wouldn’t like him. He’s just too cryptic and you know that he’s probably doing it on purpose. He could have helped out more if he decided to join the action instead of just fishing all the time. 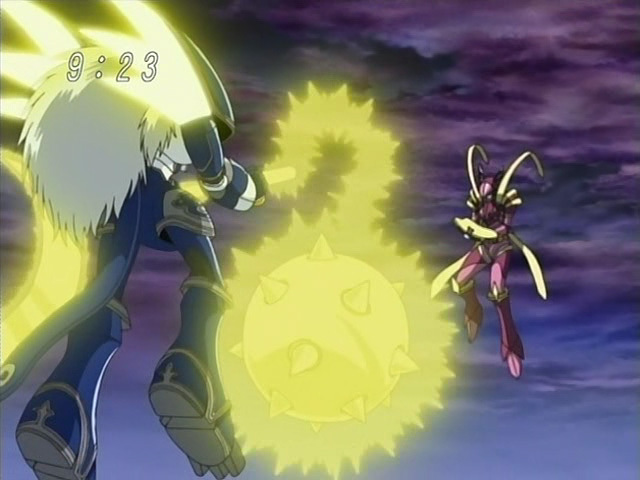 Merukimon was one of the cooler opponents in the series and he was one of the first Mega level Digimon to battle the heroes. He’s rather large, but he’s still humanoid so that gives him points in my book. He has super strength and some good energy blasts at his disposal so he can give any fighter a run for their money. He rules the Digital World, or at least a fraction of it. Merukimon believes in peace and he tries not to go to war with the humans, but his subordinates and evil humans make this rather difficult. I don’t care for how his character arc ended since I just don’t see him losing so easily, but he had a pretty good run. He’s definitely a Digimon that you can respect. Gotsumon is Merukimon’s right hand man, but he’s a pretty treacherous opponent. He wants a war to start between the Digimon and the humans. He will do just about anything to start this and I mostly just disregarded him as a comic relief character. That changed when he evolved into Meteormon and had some of the best speed feats of the series. It’s no stretch to say that this guy could be a match for Superman and I gained a lot of respect for him. Now, having a lot of power doesn’t mean that you’ll instantly become a likable character, but I can safely say that it did wonders for this guy. SaberLeomon is an ally to Merukimon although they don’t always get along. His abilities are considerable and he definitely isn’t going to let the humans get away with doing what they please. He launches an attack on the human world and it’s a pretty epic episode. He’s clobbering the heroes and even Commander Sampson is forced to suggest a retreat. Marcus won’t have any of that, but it’s definitely a pretty cool moment. His end isn’t satisfying as with Merukimon’s fate, but he gave us a great battle and he had a cool personality. He’s like your average Shonen Jump rival and that’s always a good thing. Gizumon is a robot that Kurata built and he’s part Digimon I believe. It brings up the good ole question of whether a human can build something to surpass anything. We saw in DBZ that Androids can be created who are stronger than Super Saiyans and now we have a robotic Digimon that can surpass a Mega. 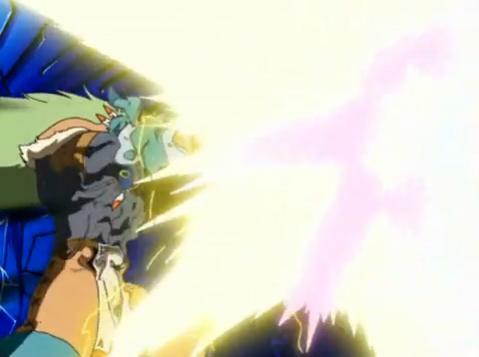 A single blast from this fighter can disintegrate most Digimon. It’s a little too overpowered if you ask me and it’s really hard to swallow this fact. I don’t think that it can beat a true Mega so it’s tough to see it beating up the heroes. Its speed and power are simply off the charts, but it has no true character development. It’s design is also lacking somewhat in coolness. I wasn’t a huge fan of this thing, but it’s definitely tough. Belphemon is one of the big foes to appear in the series, but only for a very short amount of time. For the most part, it’s sort of Belphemon, but not really. Let’s just say that he’s not in full control of what he’s doing for about half of his screen time and then his time is pretty limited when he does show up. He’s definitely as cool as ever when he does appear though and I’ve always liked him as a villain. His design is basically perfect for an antagonist since he can fight in any style. Whether short range or long range, his attacks are guaranteed to deal some major damage. Kurata is one of the most annoying villains in the series and he could be one of the worst in the franchise. He’s made to be a very unlikable character since he’s despicable in just about every way. If that was the aim of the writers, then they certainly succeeded. There just isn’t anything likable about this guy and you’re just waiting for him to be crushed the whole time. The only problem is that he lasts for quite a long time. He’s around for over half the series, which is a pretty impressive feat for a villain. The only other villain that I can think of from the top of my head who has achieved this (In a series with at least 26 episodes and two different arcs) is Aizen, but I’m sure that there are others. He is a brilliant scientist and inventor, but those just aren’t good enough reasons to actually end up liking the character. Nanami is one of the three humans who have the ability to change into a Digimon. It’s a very handy ability to have and these fighters have an incredible theme that plays whenever they transform. Nanami is a genius so her rival from the main characters is naturally Thomas. She’s definitely a great fighter and her speed is really off the charts. Unlike Kurata, Nanami is a villain that you won’t mind rooting for since she is pretty interesting. I can’t bring myself to root for her since I’m a much bigger Thomas fan, but she isn’t an unlikable villain. It’s also cool to see her have a strategic battle with Thomas…even if she should have won that battle. Kouki is the next member of the trio and he’s easily my favorite one. He’s Marcus’ rival so I suppose that this makes sense. He’s always eager to battle and his personality is similar to your average Shonen Jump Protagonist or eager rival like Grimmjow. He doesn’t really have any bad scenes and it’s nice to see someone else jump in to fight instead of it just being Marcus all the time. Their punch in the Digital Wormhole was a nice way to start off their arc and he grew on me pretty quickly. 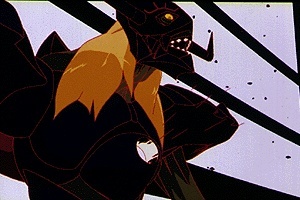 I’m hesitant to say that he was the best villain in the series, but I’m thinking that there is actually a strong possibility that he is. Kouki is just great! Unfortunately, every group has its weak point and this one is no exception. Ivan is the third member of the group and he’s easy the worst one. He’s not very smart and he’s always trying to flirt with Yoshino, but failing epicly. He doesn’t really know how to think yet so he just says all of his thoughts out loud. This results in wince worthy scenes were you just have to hope that he’ll be quickly defeated. His super forms also aren’t quite as cool as Nanami’s or Kouki’s. I could definitely do without this guy and Yoshino deserves a better rival. 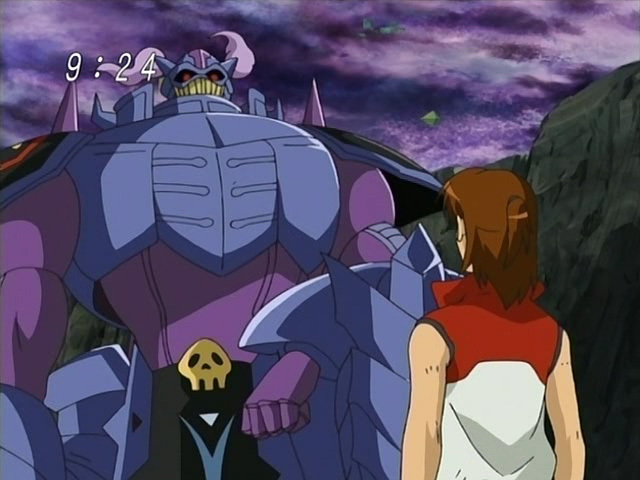 Craniamon gets the biggest role from all of the Royal Knights. He has the most impressive fight and he is probably the most likable member as well. He fights with a shield and a double edged blade. (Not really a sword though) His shield is said to be unbreakable so getting past him is very tricky. His one on one fight with Marcus and Agumon was one of the better fights in the series. He eventually learns that it is not right to follow a leader without any questions and his character development definitely carries him to new heights. Not only is he one of the strongest Digimon in the franchise, he’s also one of the more likable ones. Unfortunately, the rest of the Royal Knights don’t get the same treatment. They have a cool moment where they all show up at once, but they don’t get a lot of development after that. In fact, most of them don’t even get to have climatic fights like Craniamon. Gallantmon looks pretty great in his appearances, but maybe a little too great. The heroes don’t really have an answer for him so one character is forced to make the ultimate sacrifice to turn this into a stalemate. Gallantmon doesn’t return until the very end when the fights are over. Dynasmon is still a pretty cool figure, but all of his feats were in Frontier. The producers didn’t decide to challenge this and he is mostly relegated to the sideline. Likewise with Magnamon, whose role is very small. It’s interesting to see Magnamon since I’ve always considered him to be of a weaker tier than Royal Knights level. Good for him, but he is probably the weak link of the team…maybe. UltraforceVeedramon could be his rival in terms of power, but I have to say that he just looks a lot tougher. He would have had a really good fight I’m sure and his fans were probably disappointed. Leopardmon got his own fight at least and his portrayal is…interesting. He’s the only Royal Knight that you could probably call pure evil. Might makes right according to him and he seems rather insane. I hope he is kicked off the team by the others and I have to wonder how he made it in the first place. This guy just seems a few graham crackers short of a smore if you know what I mean. He looks decent, but he also looks a lot weaker than the average Royal Knight. LoadKnightmon is pretty lucky since he got a big role in Digimon Frontier and then he got a major fight against Thomas in Data Squad. I actually do like the design since it’s very robotic and stream lined. LoadKnightmon looks like he can be a real threat and it’s the kind of design that you might expect from something like Eureka Seven. He definitely doesn’t disappoint while in battle. This is why an extra 5-6 episodes for the series would have been good. If all of the Royal Knights had gotten big battles like LoadKnightmon and Craniamon, the ending would have been even more satisfying. Omnimon is a perfect example of this since he is easily the strongest Royal Knight. (In theory anyway and I think it’s a safe assumption) He really should have gotten to fight since that would have been really cool. Marcus could have had his ultimate mega form battle with Omnimon and it would have been a battle for the ages. That was a missed opportunity, but I suppose that every show misses a chance somewhere along the line. Hopefully we get that fight someday. King Drasil is the ultimate boss and his power is basically unlimited. It’s good to see that he can physically fight though since it would have been easy to have made him a high above being. His first form is pretty cool and I also liked his final mode. It wasn’t totally humanoid, but it was close enough so that he could still fight in close quarters combat if he had too. This guy got a lot of hype so it was fun to finally see him once and for all. It was a nice way to end the series. Spencer Damon is Marcus’ father who vanished prior to the start of the series. He was apparently a nice guy and we learn more and more about him as the series progresses. Like Marcus, he can use digital data to amplify his attacks and do some real damage. He seemed to be even stronger than Marcus since his strength may have been on a planetary level. It’s a shame that we never really get to see him fight seriously on screen. The only time where we come close is in a flashback and the match is mostly off screen. This is one guy who could definitely hold his own series and it would have been cool to have seen him a little more before the series finally ended. BanchoLeomon is a mysterious Mega Digimon who helps the heroes from time to time, but I definitely didn’t care for him. He’s pretty skilled and he’s a pure hand to hand fighter, but he’s just not my kind of character. An example of this is when he locks the main characters in a hut to train and then he refuses to let them out until they complete their training. You expect a strict instructor in these shows, but he goes too far. See, the Digimon partners of the main characters were getting blown away by some villains at the time and the heroes knew that they couldn’t last much longer. Knowing that, BanchoLeomon still refused to let them out and he didn’t mind letting their lives be snuffed out. Marcus quickly did something about that, but I never let BanchoLeomon off the hook. As far as I am concerned, he’s evil and someone who needs to be stopped. Now, is D.A.T.S. is evil or just severely misguided? They decide that they have to destroy Digimon as quickly as they appear in the human world so that they don’t cause panic in the streets. Destroying a Digimon merely reverts them back to their baby form though so they aren’t really dead. That being said, you still wonder about this since they’re basically shooting first and asking questions later. The show tries to help them out by explaining that all Digimon go crazy when they go into the real world by mistake so they can’t be reasoned with. That being said, Mega Level Digimon seem to be an exception and likewise with the partners of the main humans. D.A.T.S. was quick to attack Agumon so it makes you wonder how many other heroic Digimon were taken down. They naturally mellowed out since Marcus joined (Since he makes sure to keep them on the side of justice) but it makes you wonder just how good they are. Governments and military groups never seem to be trust worthy in TV shows and this is no exception. I think that Kurata probably gets away with a little too much during arc 1. 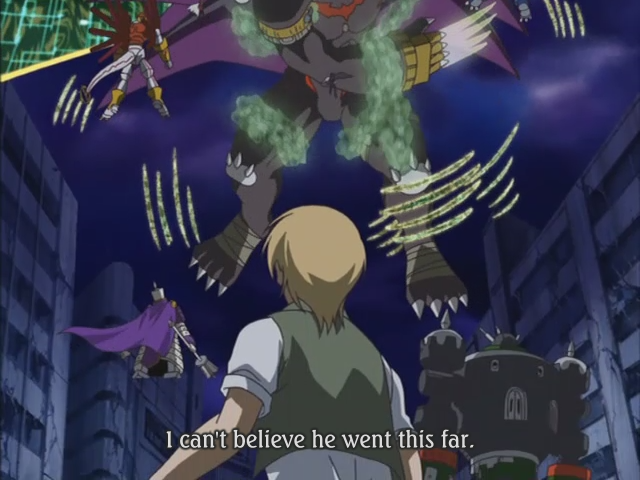 He takes down a whole lot of Digimon and he basically forces them to retaliate. You really can’t blame the Digimon for wanting to destroy the Earth since the humans are constantly trying to harm them. Unfortunately, the heroes are ready to stop them so it’s a dicey predicament. The Digimon are in a no win situation since they can decide not to strike back and watch as their allies are defeated or they can attack and get bested by Marcus. So, you can definitely sympathize with these guys and it’s one of the only reasons why you can accept the Royal Knights deciding to destroy Earth. That being said, they are supposed to be completely just heroes so you expect more out of them. Also, where were they when Kurata was attacking the other Digimon? With their extreme speed, they should be able to help out a lot. I’ll assume that they were in statis or something. Data Squad’s animation is definitely sound. It has a Shonen Jump feel to it that the other series just didn’t have. The previous installments looked good of course, but this one is just that much better. Tamers also had some good animation so it can hold its own, but I’d go as far as to say that Data Squad easily surpasses every other Digimon show in terms of animation. It helps that the fights are really intense here so the animators can take advantage of that of course. I’ll talk about the battles in a short while. Needless to say, the animation really shines throughout the series and especially during the final arc. Another factor that was in the show’s favor is definitely the soundtrack. 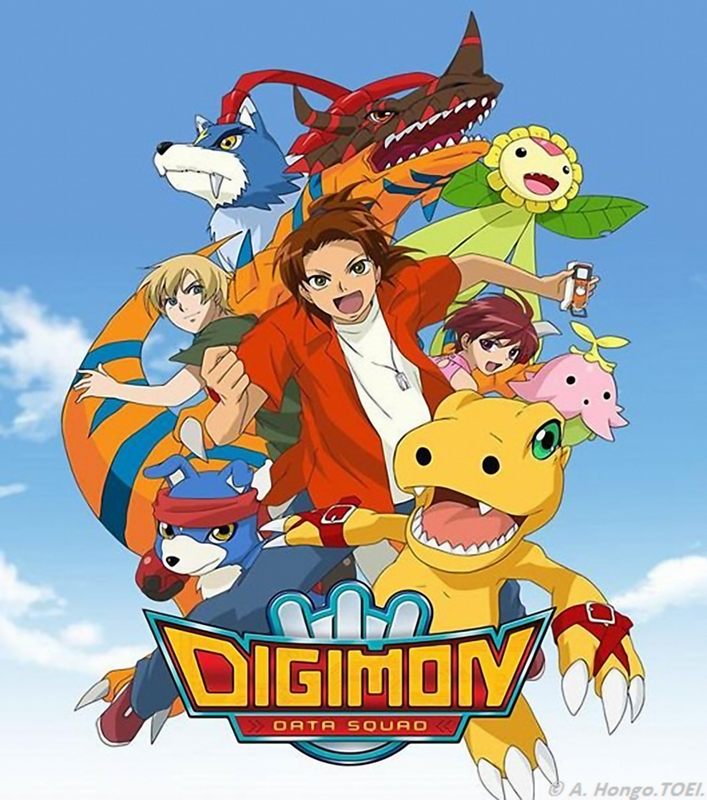 Digimon is a franchise that is very well know for its great soundtracks or at least in the English dub of each series. Data Squad takes it up another notch as at least 90% of its themes are fight related. Only 1 other show has managed to pull that off in the past and that was Yugioh GX. You can already tell that Data Squad is in some pretty good company here. From the cliff hanger music to the tense themes, Data Squad just nails them all. Even the “previously on Digimon” scenes become epic as the show plays a great battle theme. There’s never a dull moment in the series and the soundtrack really solidifies that fact. The action scenes are another thing that separates this show from most anime. The battles are pretty reminiscent of DBZ and they’re very high tier. Digimon Frontier actually started this off since their fights felt like classic DBZ scuffles, but this show just takes it to the next level. The strongest fighters in this series are easily stronger than Frontier’s. (Don’t get the wrong idea, Frontier’s strongest fighters are still immensely powerful, but they would not be able to win this fight) The action scenes are intense regardless of how high tier they are though as the first fights with Marcus against rookies and champions are still exciting. This is thanks to the soundtrack mixed in with the animation. The hand to hand certainly helps since those fights are always excited. Brawling action is great to mix in with beam fights since it makes the battles that much more dynamic. We even get a classic scene where someone catches Marcus’ punch, which is an impressive feat in itself. As far as the power levels go, the top fighters from this series could take out many fighters in Naruto, Bleach, One Piece, and maybe even some DBZ fighters. Don’t underestimate these Digimon! I already mentioned that this is my 2nd favorite show of all time so it probably goes without saying that it beats the other Digimon shows. That being said, they put up an admirable fight. As of this post, the Digimon rankings go: Digimon Data Squad–Digimon Tamers–Digimon Adventure–Digimon Frontier–Digimon Adventure 02–Digimon Fusion. The last two spots do tend to shift around sometimes though as it’s really close. Digimon Adventure 02 had the better writing, but the songs were terrible so it’s a tough call. Data Squad wins in characters, fight scenes, soundtrack, and animation so it’s basically got all of the areas covered. Like I said, it’s just about perfect. If I had to mention a negative aside from Keenan, it would be that the ending is a little rushed. All of the Royal Knights should have gotten a chance to have a real fight. The series really could have used the extra 4 episodes to reach 52 so that they could fight. 4 episodes would certainly be enough or at least it would be enough to satisfy me. There’s a lot of action that you can fit in those 2 hours. It wasn’t to be though and when a little pacing problem is the show’s biggest concern, you know that you’re doing pretty well. The show gets by without resorting to fanservice tactics, which is another check on its overall score. Every show has a moment where things get real. That moment where the show jumps from good to great or from mediocre to good depending on the title. The moment where the show peaks and that happens towards the end of arc 1 in this title. When the 3 humans who can biomerge into Digimon appear, that’s when Data Squad went from great to elite. It’s an intense scene and you won’t be able to tear yourself away from the screen when that happens. On a bright note, even the filler episodes are pretty entertaining. The boxer episode comes to mind and there were no big stakes, but it was still a pretty great episode. That’s because the writing for this show is pretty consistent. Overall, Digimon Data Squad is just about perfect. It’s a show that has a lot of replay value and nearly everything went its way. The pacing is pretty good and the animation is sure to help you enjoy the fights a lot. The soundtrack is easily 5 star material and Marcus makes for a great lead. Keenan may not be a good character, but you can definitely overlook him on this epic experience. The show is ironically a few episodes shorter than the other seasons, but that’s okay. Over 40 episodes is still enough time for you to get used to the characters. I definitely recommend this show to any anime fan and especially if you are looking for a title with a lot of fights. It’ll be tough for any show to pass this one and that’s why my top 3 shows of all time are virtually set in stone at this point. 1. Yugioh GX. 2. Digimon Data Squad. 3. Cardfight Vanguard. Everything else can fight for the remaining spots on my top 10. Check this show out and tell me what you think! I’ll have to wait a while before I see Marcus in action again, but that should be pretty epic! This is a tribute to the new Scooby Doo WWE film. 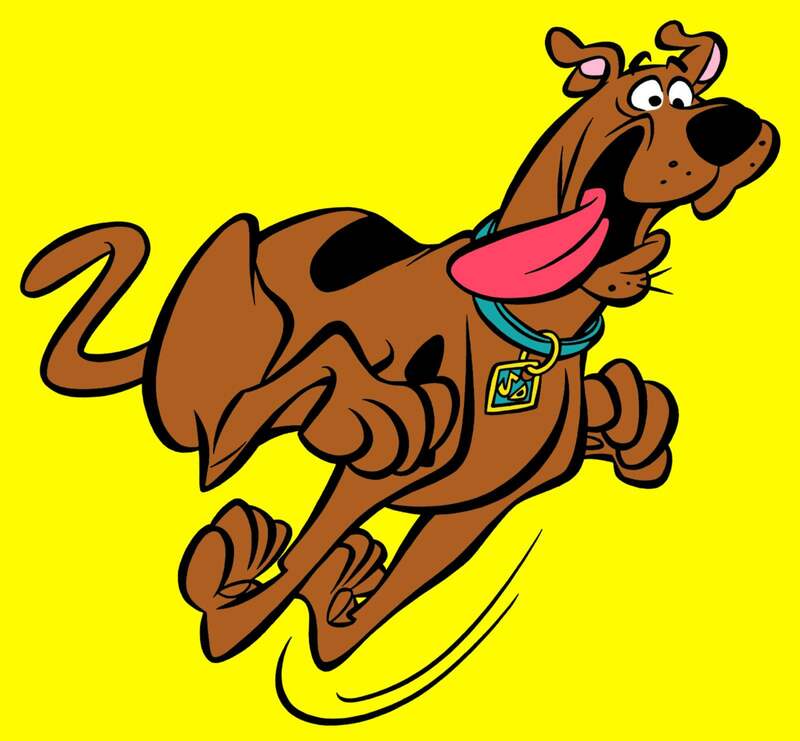 Scooby Doo didn’t look very good and he was basically used by all of the villains. He tried to make up for this with his close combat skills, but he lacked confidence. He really could have looked a whole lot better and one could almost say that his showing was disappointing. I definitely wouldn’t argue that and that’s why Marcus is here to knock him down a peg. Marcus wins. 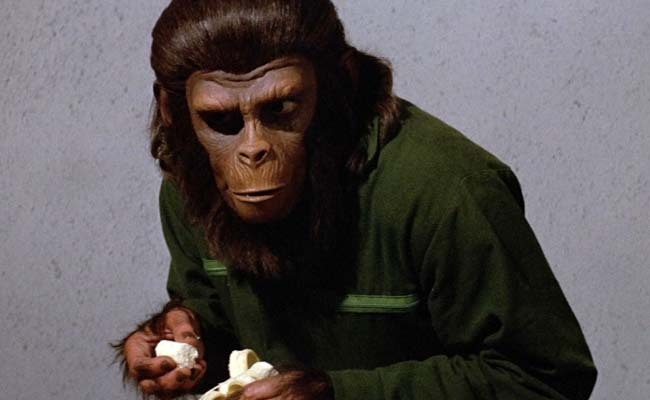 This is a tribute to Battle For The Planet of The Apes! Caesar didn’t really look much better in this film and he lost control over his army. I’m afraid that it’s hard to overlook such a blunder and you can bet that this never would have happened to Marcus. Marcus is always in the driver’s seat and he doesn’t back down to anyone! Marcus wins. Kouki is one of the cooler villains in the Digimon franchise and he was definitely a tough opponent, but Marcus will be able to defeat him. 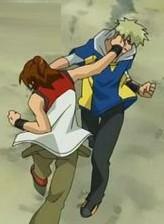 Marcus has proven that he can hold his own against Kouki in a hand to hand fight and that was before his training. Adding in Agumon makes this fight a pretty big blow out. Marcus wins. 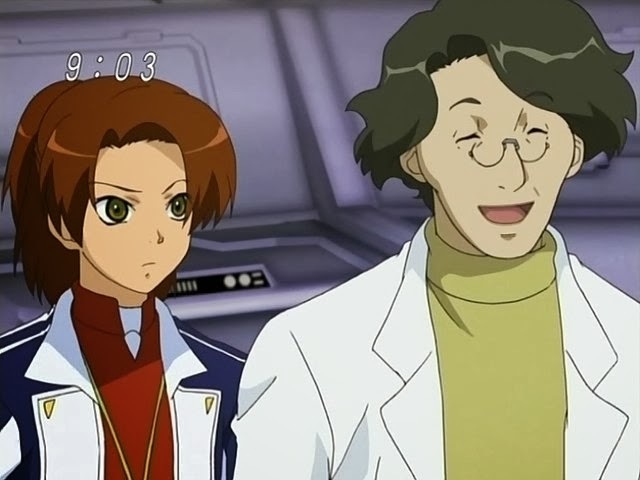 Kurata may be a scientist, but he’s no match for someone like Marcus. Marcus has his DNA charge and one punch would make short work out of Kurata. Kurata isn’t very quick and Marcus would be able to easily overpower him. This may be Kurata’s first match on the blog, but he’s already outmatched. Marcus wins. Diaboromon is back, but he won’t be able to stop Marcus. Marcus is easily one of the strongest human fighters in history and he also happens to have one of the very best Digimon out there. No matter how you slice it, Diaboromon is essentially doomed. We saw how he fared against Omnimon and Marcus’ Agumon has a Mega evolution that may even exceed him in power. Marcus wins.